Apple released 10.2 to developers yesterday, which contained some new features that you'll probably want right now on your iPad, iPhone, or iPod touch. Lucky for you, the Public Beta is pushing this same update out today. Highlights include new emojis, a new screen effect for iMessages, and a long-awaited camera setting. You can read more on these goodies below, but first—in order to get these cool new features right now—you'll need to install a beta profile if you haven't already done so. It might be a few weeks, even longer, before 10.2 gets pushed out to everyone. So to get the latest features today, just check out the following guide. Otherwise, see what's new in iOS 10.2 after the jump. iOS 10.2 brings Apple's emoji set up to spec with the new Unicode 9.0 standard. Ultimately, this means you'll get fun new smileys like facepalm, shrug, rolling on the floor laughing, and a creepy clown face. 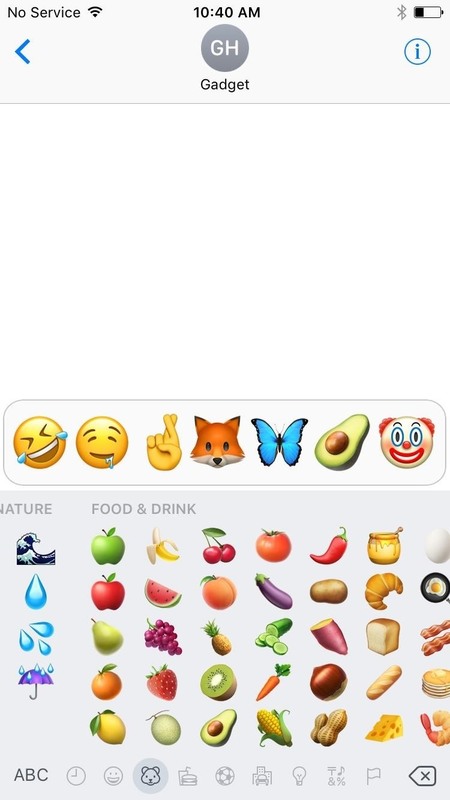 Other highlights include gender variations for the pilot, farmer, and judge emoji, along with a drool face, crossed fingers, and the one we've all been waiting for—avocado. Some of the new emoji in iOS 10.2. 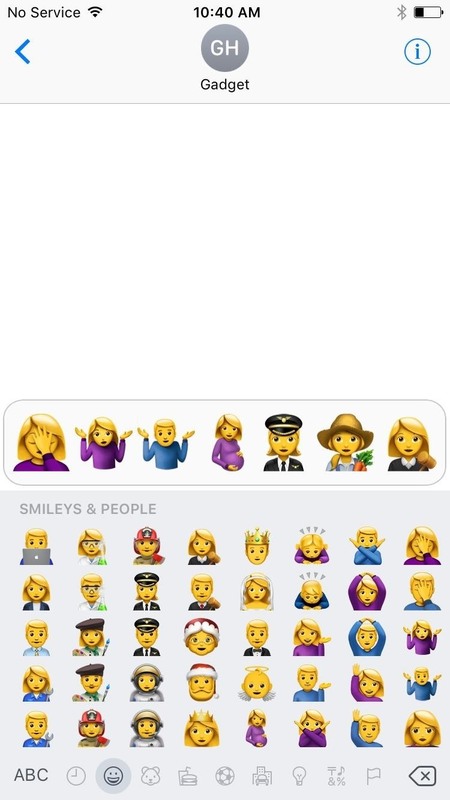 Jokes aside, there's actually 72 new emoji in total, so it's a pretty significant update. For the full list of new emoji, check out the Unicode 9.0 changelog page here. You can tell Apple listens to user feedback (even if not right away), because a new setting in iOS 10.2 finally solves an issue we've had for years. In the past, when you closed your Camera app and re-opened it, it would revert any settings and put you back in the default rear-shooting mode with no filters applied. 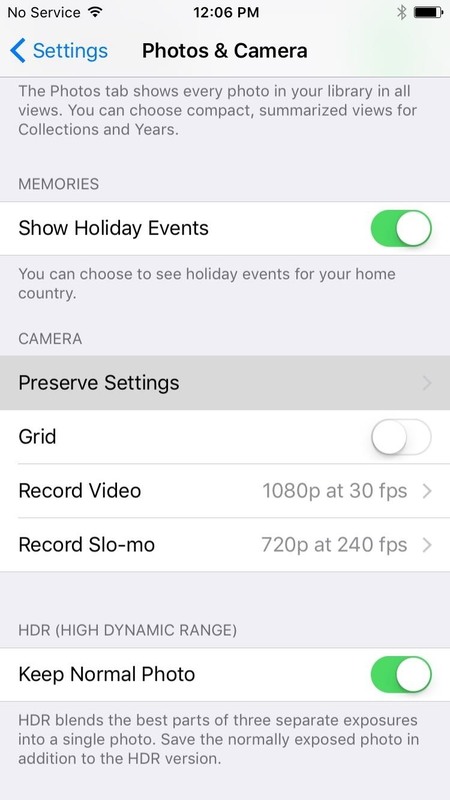 But with iOS 10.2, you can head to the Photos & Camera menu in Settings, then enable a couple of switches to preserve your camera settings exactly as they were the last time you took a picture or shot a video. 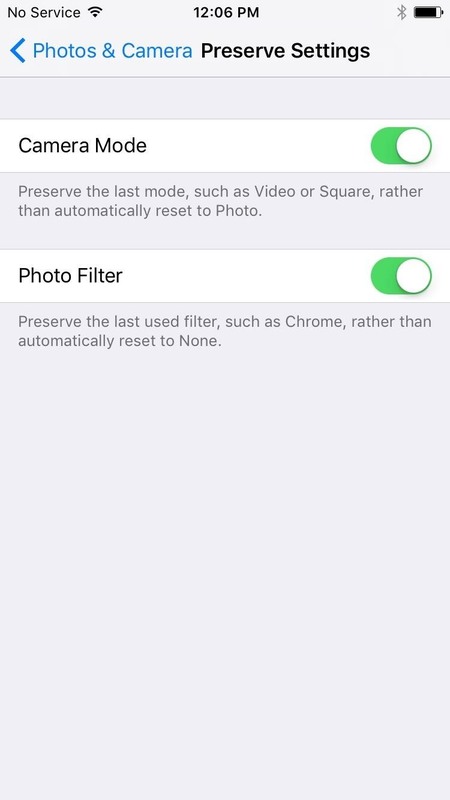 This means that if you were shooting in square mode using the front-facing camera and a filter like Chrome, all of those settings will still be applied the next time you open your Camera app. 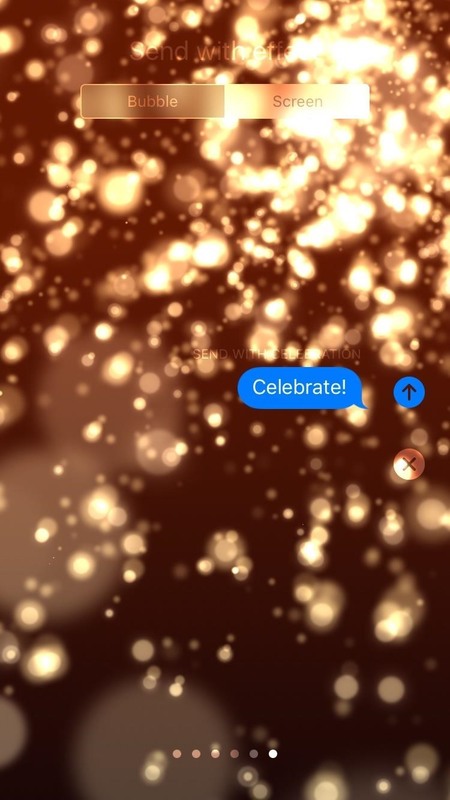 The last big user-facing change in iOS 10.2 is a new message screen effect for iMessage called "Celebrate." It's like a burst of glowing embers cascading onto your screen, so it's the perfect compliment for some good news. What's more, this will still work even if the other person is running an older version of iOS 10, so if you're running the beta, you can send your friends the new message effect before they can even send it back to you. 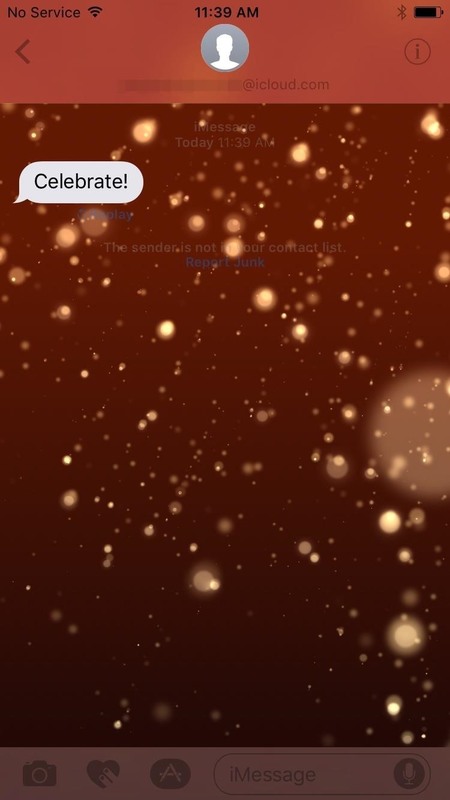 The new "Celebrate" message effect. We're still looking for other big new features, but we've already found a few minor changes in iOS 10.2. For one, iPhone 7 and 7 Plus users will find three new wallpapers in Settings, similar to the morphing liquid blob found in the A10 Fusion section on the official site. The Videos app also got a new widget, and there's now a headphone icon in the status bar when you connect a Bluetooth device. Some hints in the new Software Developers Kit (SDK) point towards a unified TV provider login in the future, which should make it a lot easier to sign into services like HBO GO or Watch ESPN. In all, it's a pretty significant update even though it's just an 0.x version bump, so there's plenty to like about iOS 10.2.